I’ve said it for years and have heard the same response every time, but the inevitable might finally be here. Major League Baseball is discussing the implementation of the Universal DH and it’s about time they did. Deep breaths purists…your typical responses haven’t swayed me yet and they won’t sway me now. Nobody cheers a double switch…but they sure as heck cheer home runs. Now, this doesn’t mean that you have to erase your memories of the “good old days” that you’re holding on to. Those still happened and when they did, pitchers could actually handle the lumber. It’s a very rare occasion that a pitcher can hit the ball out of the ball park and overall, even the ones who can still can’t hit. So yes, it’s time to say goodbye to the days of easy outs and failed sacrifice bunt attempts. National League managers will just have to use their strategy to work their pitchers through a line-up of nine guys that know how to hit the baseball like American League managers have been doing for decades. The universal DH simply makes more sense in the modern era of baseball. Separate rules made sense when the leagues were actually separate, but they haven’t been separate since the inception of year-long interleague play. Now, it doesn’t. No other professional sports league does this. Beyond that, nobody (and I mean nobody) buys a ticket to see Clayton Kershaw, Chris Sale or Max Scherzer swing the bat…and their clubs aren’t paying them all that money to do so either. Personally, I’d rather see my favorite team’s $20+ million pitcher win 20-games and a Cy Young award than see him injured running the bases. The league has changed, the game has changed and it’s time for MLB to change their rules to reflect it. Now go ahead, yell at me about double switches….I’m not listening. 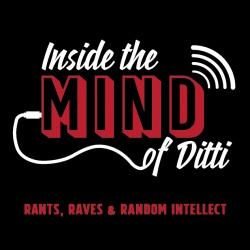 Find me on Twitter (@Ditti33), Instagram (dittius33) and Facebook (/InsideTheMindOfDitti).